In a first for Botswana, major mines are now using online auctions to offload unwanted assets and recover revenue. This comes following the extensive success online auctions have experienced in South Africa. The first Botswana auction set to take place, consisting of equipment belonging to emerging mining company Cupric Africa, comes as a result of a the company acquiring the Boseto mine from liquidated Australian entity, Discovery Copper. 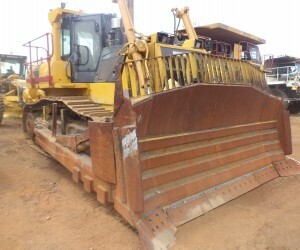 The transaction assisted a settlement where the various creditors of Discovery Copper including Standard Bank, Credit Suisse and CAT Finance hadrecently contracted online auction house Clear Asset, domiciled in South Africa, to assess the values of the equipment in Botswana prior to concluding the transaction with Cupric Africa. The company will now take to auction all redundant assets from the Boseto mine. It was recently publicized that Cupric Canyon Capital, a private equity firm backed by Barclays Plc, will spend $200 million to bring its copper-silver mine in Botswana to production and is set to commence in 2016. The auction forms part of this strategy. South African company Clear Asset will conduct the auction. Comments Clear Asset MD Ariella Kuper, ’’Strategies within the South African mining sector have shifted drastically over recentyears as mines have been forced to move their focus away from growth and expansion to that of efficiency and cost control. This trend has now becomevery clear in Botswana, and later this month the country will hold its first ever online mining equipment auction. 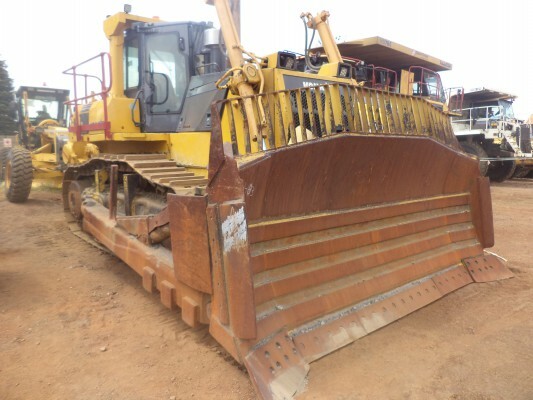 The online auction will include an array of items such as Re-agents including Sodium Hydro Sulphide, Regrind High Chrome Mill Balls, Concentrate Bags as well as Liebherr 9350 main hydraulic pump, engine, cab and diesel tank, 2 x CAT 777 transmissions, CAT 834 diesel tank (new), Perkins radiators, conveyor belts, boom cylinders, military tents and an extensive list of 2010/2011 Toyota Fortuners, Landcruiser 4.2D and Hilux 3.0 D - Single Cab 4 x 4s. Added to the auction is redundant stock from major listed SA mines who participate monthly on the Clear Asset website including Sibanye Gold, Anglo American, Goldfields and newcomer Royal Bafokeng Platinum. Mining contactorGenet has also committed yellow metal stock this month and should enjoy similar results to what was evident on the Sep auction which boasted almost 2,000 bids including bids from India, Australia, Dubai and Saudi Arabia and close on 30,000 unique auction views and where a Vermeer trencher was sold for AngloAmerican to the USA for several million and 2 Exxaro Euclids made their way to a buyer in Africa at full market value. Visit www.clearasset.co.za for more information or email ariella@clearasset.co.za.